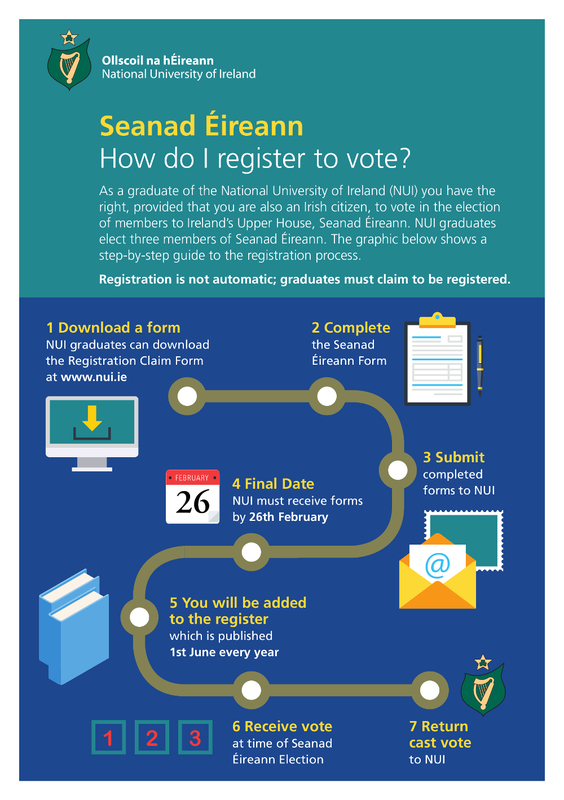 Graduates of the National University of Ireland who have received a degree (other than an honorary degree), and who are Irish citizens are eligible to vote in Seanad Éireann elections. It is however essential that you are included in the University electoral register. 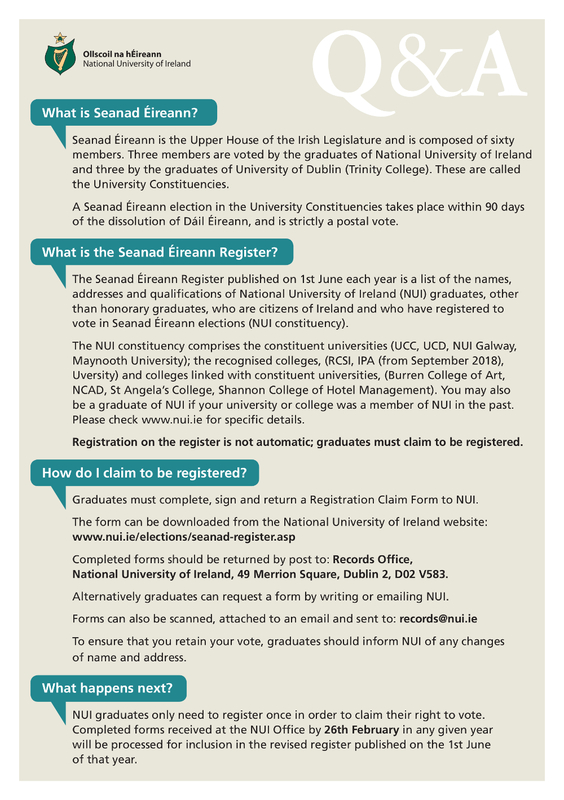 Three members of Seanad Éireann are elected by NUI graduates in a postal ballot. Seanad Elections take place within 90 days of the dissolution of Dáil Éireann - the Election is strictly a postal vote. Once an election is called voting papers are posted worldwide to all registered graduates. The 2019 revision of the register will be published on 1 June 2019. The deadline for registration to be included in the 2019 register is 26 February 2019. The form below may be used to register and should be completed in full and hand signed. The form can then be scanned and attached to an email and sent to records@nui.ie or posted to Records Office, National University of Ireland, 49 Merrion Square, Dublin 2 D02 V583. If you are unsure whether you are a graduate of the National University of Ireland, please consult the list of NUI institutions.